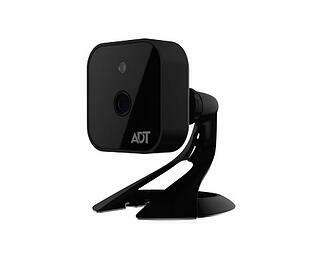 See what is happening at home with ADT cameras... secure real time video viewing and event triggered video clips. 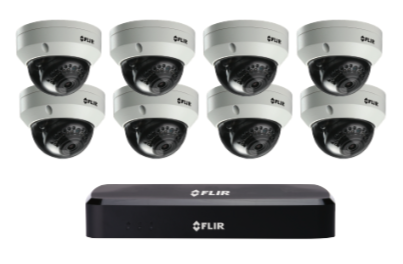 This is an IR day/night camera. Comes as bookshelf or can be mounted. You can get one free indoor camera with our Pulse Level 3 package and ADT monitoring service. Must have Pulse Level III monitoring service to get have an Indoor Camera work with your ADT monitored security system. Dual Video Support. The RC8325-ADT supports H.264 and MJEPG video compression. Wireless Features • Supports 802.11n Wireless Standard. The 802.11n standard provides backward compatibility with the 802.11b and g standards. Basically, it works with most Wi-Fi networks. Supports WPS: Wi-Fi Protected Setup (WPS) simplifies the set-up. Just press the button on the device when prompted and the system finds it and completes the set-up. Wired and Wireless Network. It can be connected to the Pulse network wirelessly. It can also be hardwired to the network using a Micro USB to RJ-45 Adapter Cable and a standard Ethernet cable (both not included). You have options. "Highly recommend California Security Pro"
"I am very happy I chose California Security Pro for the installation of my new ADT system. They were very knowledge, professional and efficient in all aspects of upgrading my existing hard-wired system, and adding outside and inside cameras. They explained everything and were very pleasant to deal with. I would highly recommend them to friends and neighbors. Patrick and Jesse installed my equipment and they are excellent. I would give them ten stars."